First, cut through the red line. 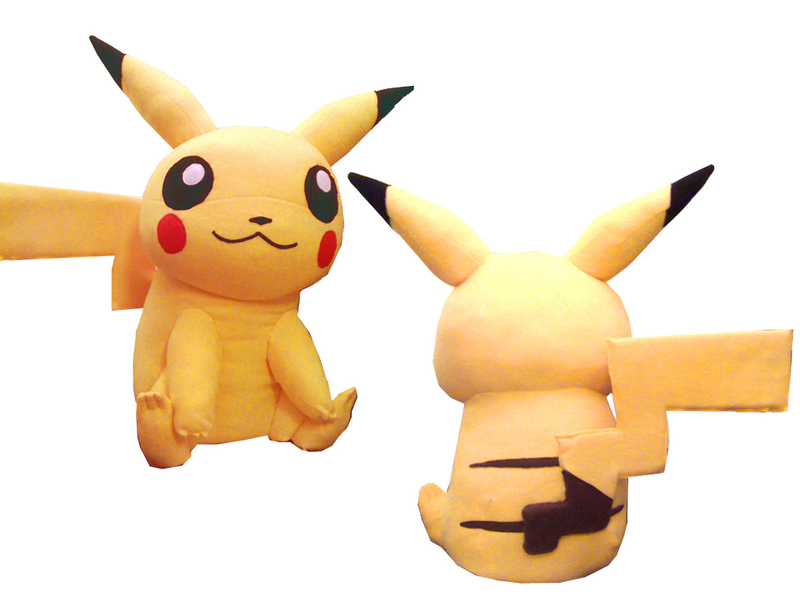 There’s no glue needed to attach the head to the body . 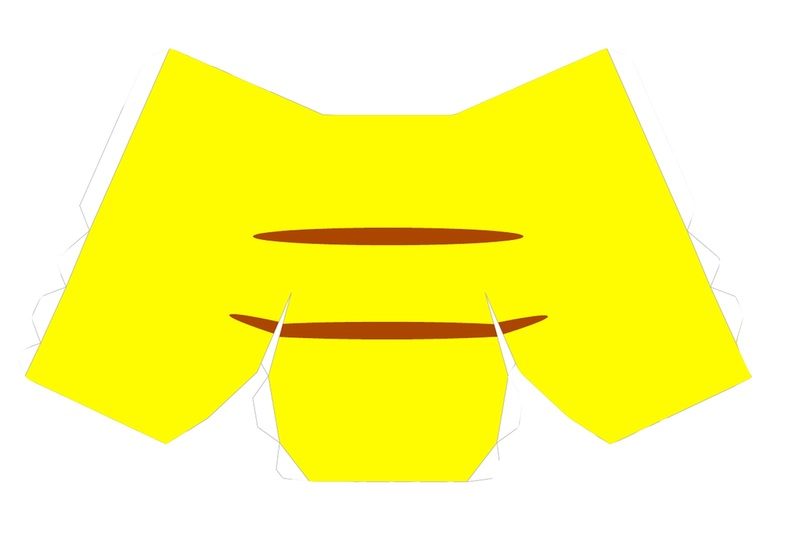 But you will find a big hollow opening at the bottom where you will combine with the body later. 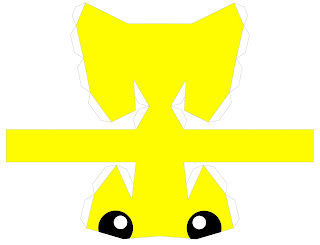 Use glue to attach the cutouts (that’s white in color) to the parts as pointed by the arrows. This is applicable to all other parts as well. Match the letter marking to the attaching hand, ear and leg to the body accordingly. This is the body part, which is pretty easy to understand. Glue the cutouts (in whites) to parts according to the arrows. 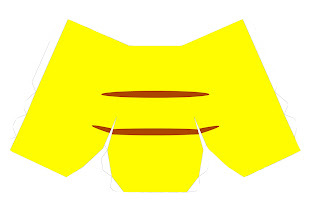 ‘T’ indicates where to stick the tail. ‘H’ indicates where to stick the hands and ‘L’ is where you should stick the legs. This is the ear part. Roll it around to make it look like the shape of small yam or turnip (see completed picture). 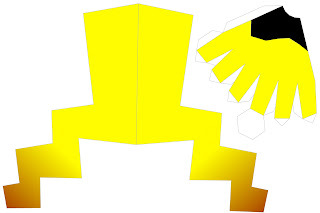 Glue the cutout parts to ‘E’ and you will have a pointy ear. Stick ‘E’ to the head of little Pikachu. This is applicable for both left and right ear. Similar to the ears, the end shape of the hand is also almost like the shape of a small yam or turnip, except with a considerable hollow space at the end spot. 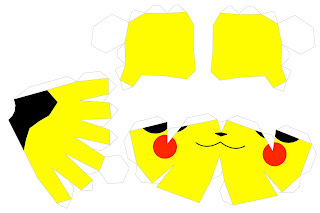 Glue the respective cutouts (in whites) to ‘H’ and have ‘H’ stick to the body of little Pikachu. This is applicable for both hands. These are the legs. Looks difficult? Well, it isn’t that hard really. 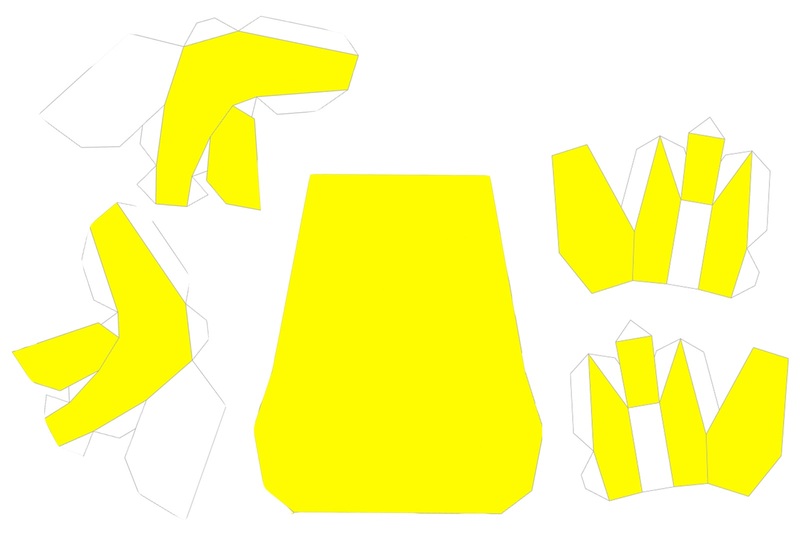 Jus follow the arrows slowly, and glue the cutout parts (in whites) accordingly to ‘L’ and ‘L2’. Do it as if like crumpling a small piece of paper. Paste ‘L’ to the body of little Pikachu. Alright! That’s about what we can help you with. Have fun crafting!